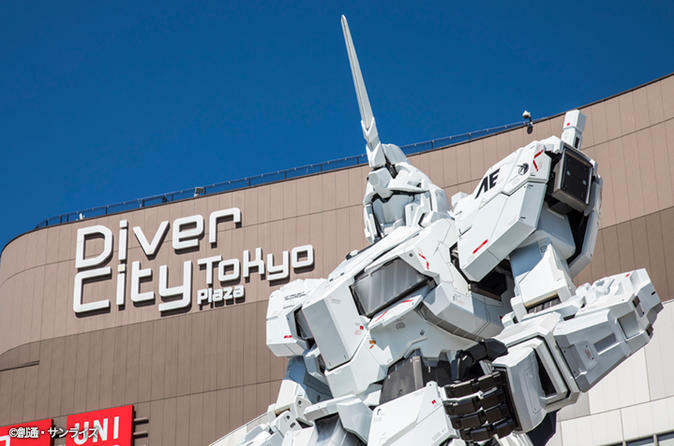 [Private Tour] See, touch and experience cutting edge technology in Odaiba! Odaiba is located right next to Tokyo bay, and holds many exhibitions and shows to do with futuristic technology. At Toyota's showroom, you can observe their remarkable cars, and in Miraikan (National Museum of Emerging Science and Innovation) you can meet androids and robots. The great part about this tour is that you can not only see technologically advanced products, but actually touch and ride them too! Care to experience a slice of the future? Meet robots and view the latest cars! You may have a chance to ride a segway! You even get the chance to meet that famous anime robot...! A tour designed for all ages, with things to touch and experience in every place you visit. Japan's leading car manufacturer, Toyota's exhibition showroom. Numerous activities can be experienced with cars to see and "ride"! A huge robot "Gundum" is a landmark of this commerical city. Food can also be enjoyed with Japanese restaurants on the 1st floor foodcourt for a reasonable price. A VR experience center is inside the Plaza, an highlight of this tour in experiencing "Japanese Technology. A museum to learn about science in a fun way. A spot where you can expereince cutting-edge science with various tricks, this tour's hotspot is Android and Robots! Let's get a taste of the future!